Kidneys are one of the most important organs of our body. The better health of the kidneys is also an assurance of our good health. Kidneys help in the removal of waste products from our body and keep the electrolytes in the blood in balance. Now how do we know whether our kidneys are working fine or not? Well, there are a lot of tests for this purpose and the one we are going to discuss today is Creatinine Clearance Test. 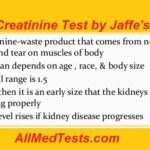 We have already discussed this important substance in our body named creatinine and today we are going to discuss another of its benefits which are this test. 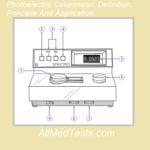 We are going to discuss many things including why this test is performed? How is it performed? 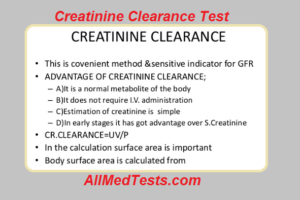 And, what do we find from Creatinine Clearance Test? Let us move on with our task of analyzing Creatinine Clearance Test. Since I have already mentioned that this is one of the tests with the help we can find the performance of kidneys or how well the kidneys are. This was quite easy to answer since I had already mentioned in. But things get complex when we talk about the principal of the test and try to know that how it is performed. Well, if we talk about the principal then it is quite simple. The samples of both urine and the blood are taken. Then we measure the level of creatinine in both the samples and this is how we know the well-being of the kidneys. The thing which you got to make sure that you must take urine samples for 24 hours. After that, you will need to move forward in order to get the blood sample for the test. 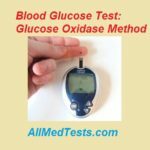 A method for this test is even simpler than the others. First, taking samples for urine are the easiest. You will take urine samples from simple urination and then you can take the samples to perform the test. 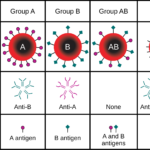 Taking blood samples is done by the conventional method of inserting the injection needle and then take a sample. This could be a little painful, however, if you have been injected before syringes then you realize this little effort. After some taking pain killer, that little tension or pain in the arm or bruise will be gone. So, this was a little info on taking samples for this test. Let us now talk few things about the method of this test. There is no special method for performing this test like many others we have talked about on this site. 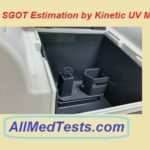 We simply take the samples both for urine and blood and then we compare the creatinine level in both of them to tell how well kidneys are doing. This was a little descriptive form to perform the test. Let me now tell you the complete method in the following step by step guide. Take blood samples of both urine and blood. Now measure the creatinine level in both of these samples. Creatinine is a substance which travels through the blood to supply energy to the different parts of the body and mainly muscles. By comparing the blood samples, we can know the GFR which stands for glomerular filtration rate. This GFR actually tells us the performance of kidneys. Now since creatinine is a waste product and gets excreted through urine, the result will be following. If the kidneys are normal and working well then creatinine easily gets excreted from the blood. If the kidneys are not working well and are abnormal then creatinine will not be excreted from the blood and this is how we measure the performance of kidneys. GFR tells us the rate and performance. The unit in which creatinine is measured is millimeter per second. The normal values for creatinine in males are 97 to 137 mm/sec and in females, it is 88 to 128 mm/sec. However, these normal ranges may be different in different labs since all of them take different normal ranges. So, this was all from the Creatinine Clearance Test. I hope that we have covered every important and basic thing about the test. You can leave us your feedback in the comments section and also ask any questions below. 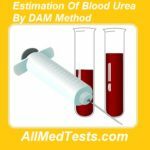 Keep visiting our website All Med Tests for more biological and other scientific tests.